Durva is very important in Indian worship. It is believed that it origin from pore of lord Vishnu. After Samundra Manthan the urn of nectar was kept on Durva. It also contains nectar properties. It is beneficial to conferred Durva to lord Ganesha. You get boundless mercy from lord Ganesha. Durva contains protein and carbohydrates. The juice which is come from Durva leave is called as green blood. It removes poison from the body. It is beneficial to cure stomach problem and irritation. Durva juice is useful in anemia. It is useful to increase glow on the face. Skin disorders can be cured by mixture of Durva and turmeric. You can use copal of Durva to get rid from alcohol. You can get rid of from several problems by offering Durva to lord Ganesha. You can get wealth and money. You should offer three or five Durva to lord Ganesha. If you conferred Durva necklace then you can get rid from all problems. You can also get rid from Mercury related problems. 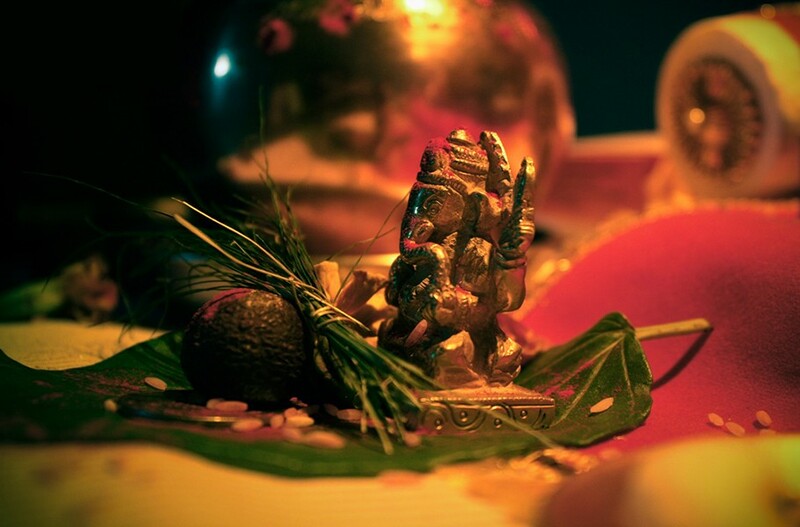 You can get rid from marriage related problems by conferring Durva, modak and turmeric to lord Ganesha. You can plant Durva at your home. It increases prosperity and wealth in your home. You should conferred Durva to lord Ganesha and keep it with you when you leave from the home. You will get success in every work. If your child is playful and they are facing health issue then tie up Durva in green color thread and covered his throat with it. Remedy: Do not keep too many images of lord Ganesha. It increases dispute unnecessarily in the home.